How do YOU top your oatmeal? 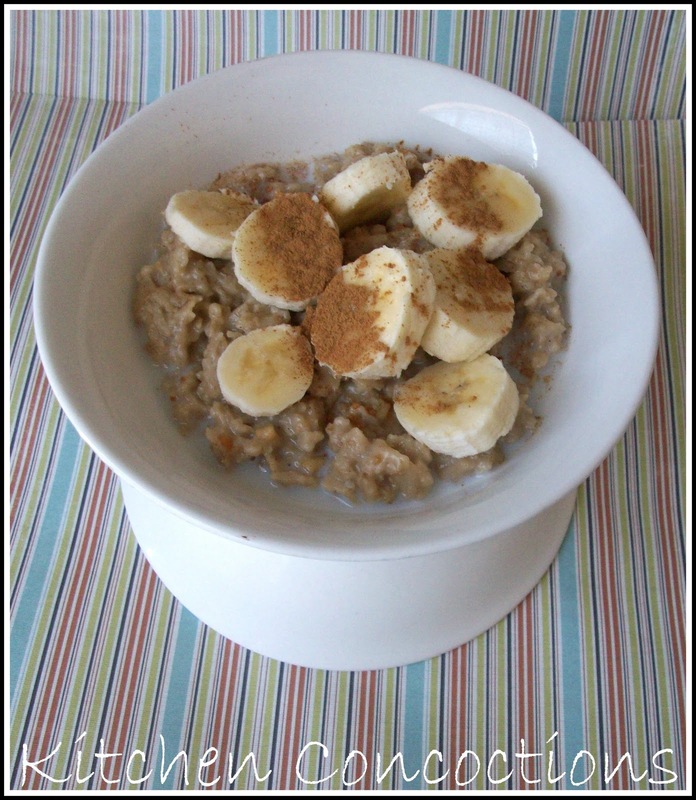 Oatmeal is so inexpensive and so healthy for you; but it can be rather bland on it’s own. I like to look at my morning breakfast oatmeal as a blank canvas. I start with the basic oatmeal base and change up what I mix in or top it with. Fresh fruit, dried fruit, frozen fruit. Milk, yogurt, cream, coconut milk, evaporated milk. Brown sugar, maple syrup, honey. Cinnamon, nutmeg, pumpkin pie spice. Vanilla, almond extract, lemon zest. Pumpkin puree, applesauce, peanut butter, jams and jellys. Flax seeds, sunflower seeds, nuts. Bacon, butter, cheese. Graham crackers, granola, chocolate chips. I mean seriously the possibilities are endless. Mix and match. Or do ’em all if you have a big enough bowl! Peanut butter and bananas are one of my favorite flavor combinations! So naturally these are some of my favorite oatmeal toppings/mix ins. I use crunchy peanut butter because I like the extra crunch it gives with the smooth oatmeal and soft bananas. Add a little milk and a dash of cinnamon and you’ve got my morning heaven! So how do YOU make the perfect bowl of oatmeal? Bring water to a boil in a small saucepan. Stir oats into rapidly boiling water. Boil for 5 minutes, stirring occasionally. Remove from heat and stir in peanut butter. 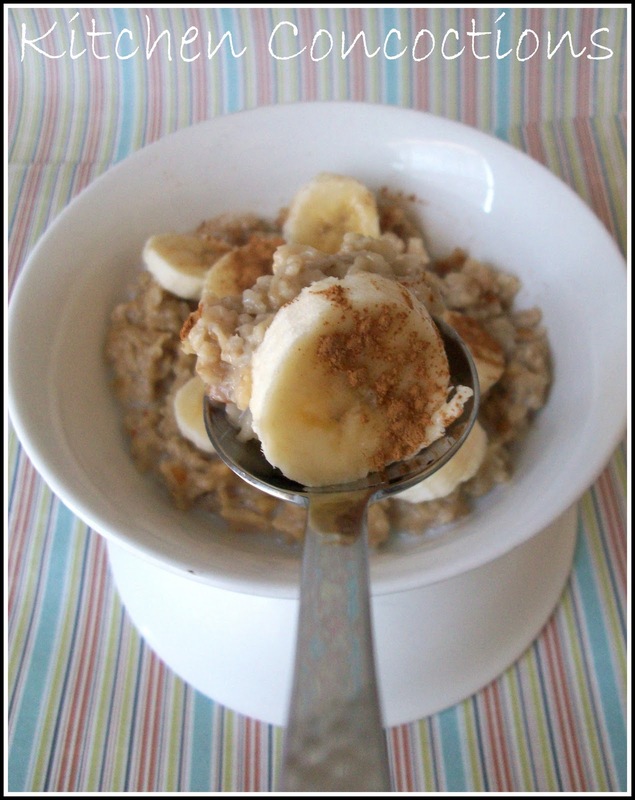 Spoon oatmeal into a bowl. Serve topped with milk, bananas, and a dash of cinnamon.